"The sirens of the sea beckon." Blue Fox Entertainment has debuted the official US trailer for the indie film In Like Flynn, which is getting a surprise release in just a few weeks later this month. 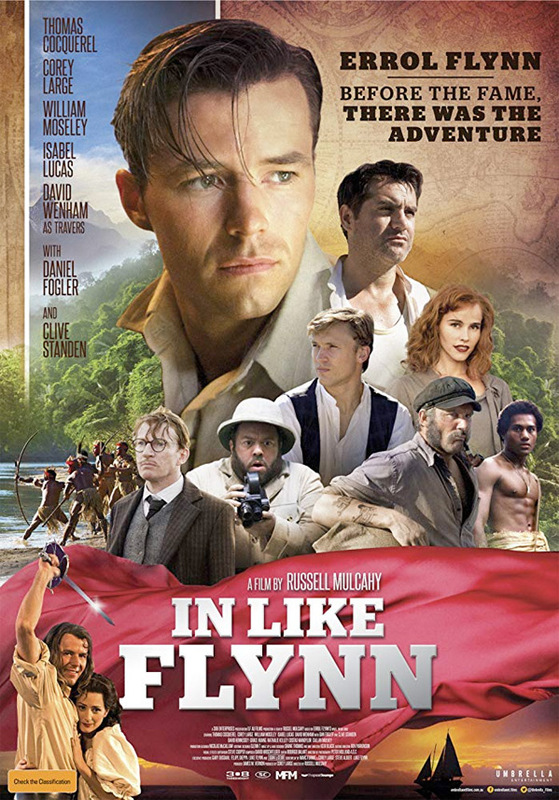 In Like Flynn is a biopic that depicts iconic actor Errol Flynn's roust-about early life in Australia, before he became a world famous celebrity. In those days he was an adventurer, opium smuggler, gambler, street fighter, womanizer, and gold prospector. The film, based on Flynn's early autobiography "Beam Ends," is inspired by the writers' travels through Australia following in the footsteps of producer Luke Flynn's iconic grandfather. Thomas Cocquerel stars as Errol, with a full cast including Corey Large, Clive Standen, Dan Fogler, William Moseley, Isabel Lucas, David Wenham, David Hennessey, Grace Huang, Costas Mandylor, Callan Mulvey, and Nathalie Kelley. This looks like a good time, although a bit rough around the edges. Before Errol Flynn became one of the biggest movie stars in Hollywood, he was braving cannibals and crocodiles while searching the jungles of Papua New Guinea for gold with his ragtag crew. Flynn is forced to learn what it means to be a master of his own destiny. In Like Flynn is a mythical and satirical coming-of-age story about four men on a journey to find hope, adventure and fortune. In Like Flynn is directed by veteran Australian filmmaker Russell Mulcahy, of the films Razorback, Highlander I & II, Ricochet, Blue Ice, The Real McCoy, The Shadow, Silent Trigger, Resurrection, Tale of the Mummy, Swimming Upstream, Resident Evil: Extinction, and Give 'Em Hell Malone previously. The screenplay is written by Marc Furmie, Steve M. Albert, and Corey Large; based on Errol Flynn's original novel & original screenplay. This has not premiered at any film festivals or elsewhere. 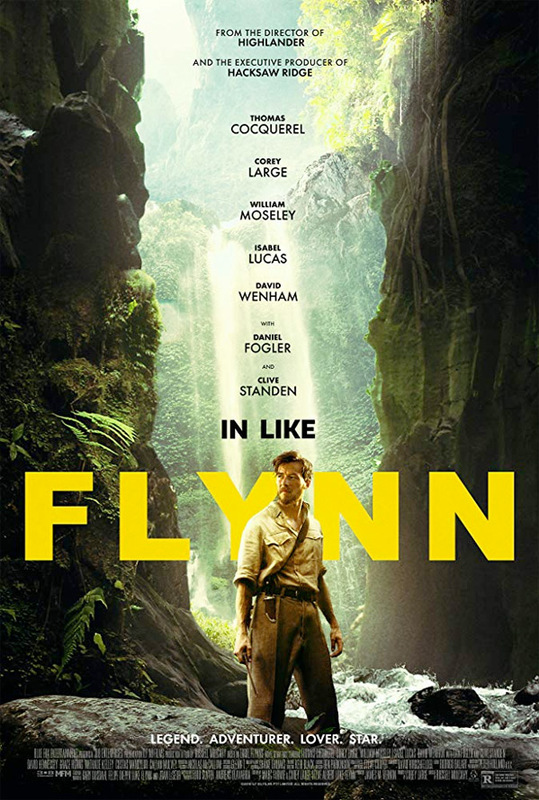 Blue Fox Entertainment will release Mulcahy's In Like Flynn in select US theaters starting on January 25th, 2019 later this month. Anyone interested in this? Thoughts?